Inspired by the diversity of local flavours, our team of experienced chefs conjure up amply satisfying food for thought. The selection of dining venues delight with their distinctiveness, across locations, menus and themes. From hearty daily breakfasts to sizzling weekend BBQs, there’s never a dull moment – or palate – at our resort. 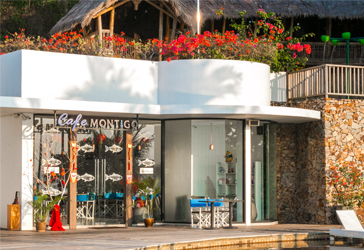 Situated next to TADD’S and a stone’s throw away from TILO Kids Club, Café Montigo serves up a quaint and cosy space for friends and families to get together. 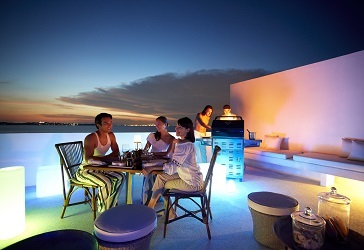 What’s a private pool or a rooftop terrace without a dining experience that complements it? 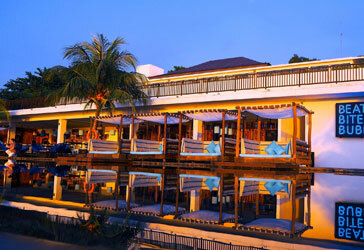 At Montigo Resorts, Nongsa, you can enjoy private poolside lunches, dinners under the stars.. The resort’s scenic stretches offer many private dining possibilities – for couples, families or even larger groups. 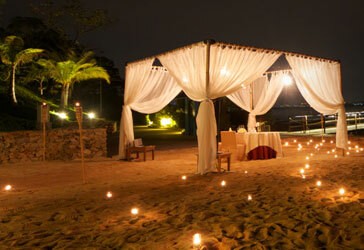 An intimate anniversary meal for two, candle lit on the Montigo jetty or sand-park? 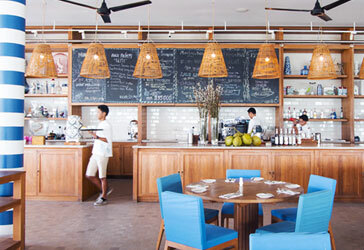 Pantai, meaning ‘beach’ in Bahasa, Indonesia, offers an extensive menu featuring fresh, locally-sourced produce and ingredients, rendering the Pantai experience both charming and delightful. A casual lunch, a relaxing dinner, a snack while the kids play at neighbouring Tilo Kids Club, or a fresh coconut between laps in the main pool, TADD’S is the perfect spot for a delicious repose. TIIGO Beach Club is cool across every detail. Unwind in the comfort of shaded outdoor loungers, at the sand park or on the cabana beds, as you lazily gaze out at the magical Montigo sunset.